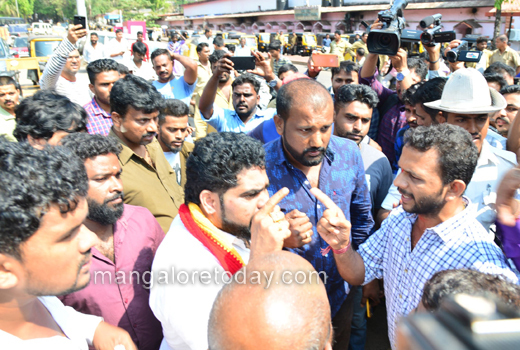 Mangaluru, Jan 25, 2017: War of words ensued between activists of the Karnataka Rakshana Vedike and Tulunada Rakshana Vedike at the Mangaluru Central Railway Station over the issue of an offensive Facebook post on Tuluvas reportedly made by an activist of the Karnataka Rakshana Vedike. 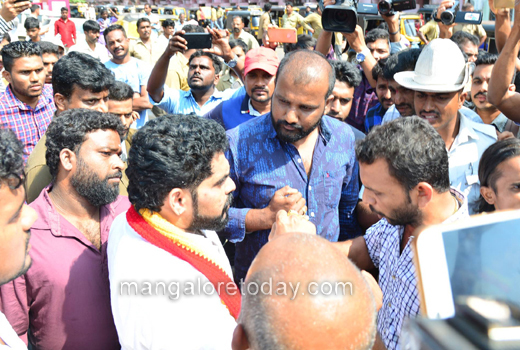 The KRV activists had earlier staged a Rail Roko agitation seeking Centre’s intervention in Mahadayi river dispute. Tulunada Vedike activists questioned the need for such a protest when the KRV activist had spoken lowly about Tuluvas. 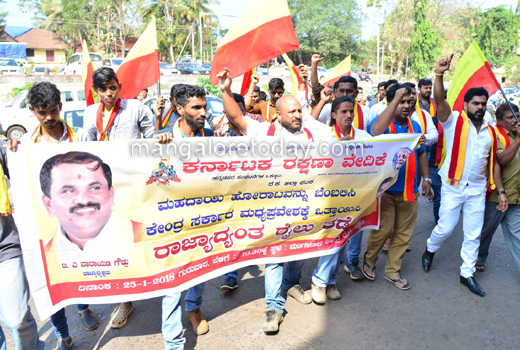 The Tulunada Vedike is also sore over the Karnataka Vedike for not supporting the protests against Yettinahole. 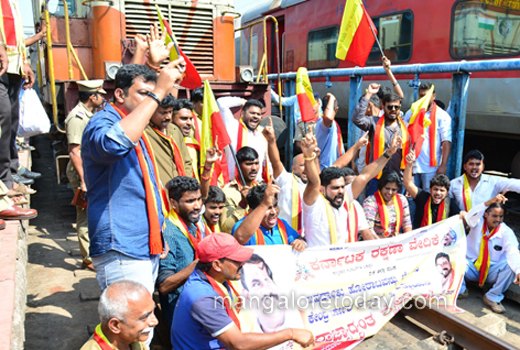 The Rail Roko protest held earlier was participated by several leaders of the Karnataka Rakshana Vedike including Taluk unit Chief Madhusudan, Srilatha Salian and others.